Sunset Harbour Yacht Club, considered a boutique marina, is an equity membership yacht club located in the heart of South Beach. The marina’s 125 slips accommodate vessels from 45 to 150 feet long. Equity Club membership includes a parking space and the full use of all amenities, including the fitness center and Olympic-size pool. 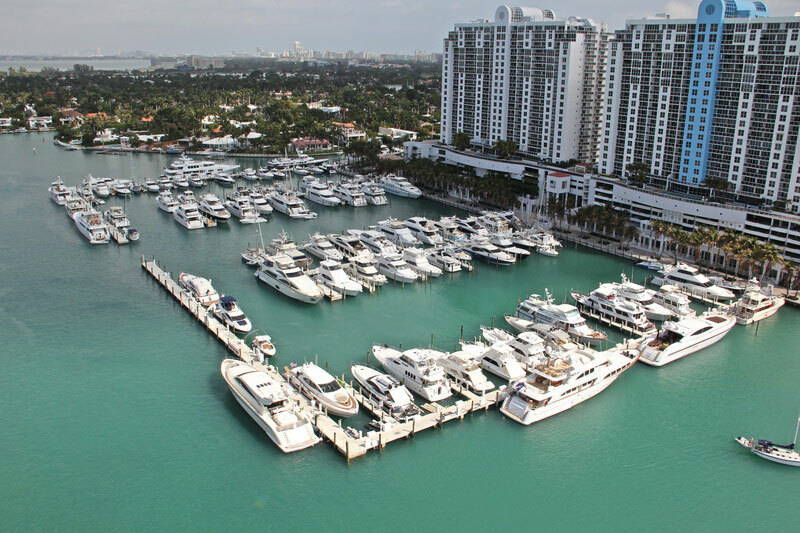 You’ll find Sunset Harbour Yacht Club and the marina at 1928 Sunset Harbor Drive. The two communities closest to Sunset Harbour Marina are Grand Venetian condos and Sunset Harbour condos. 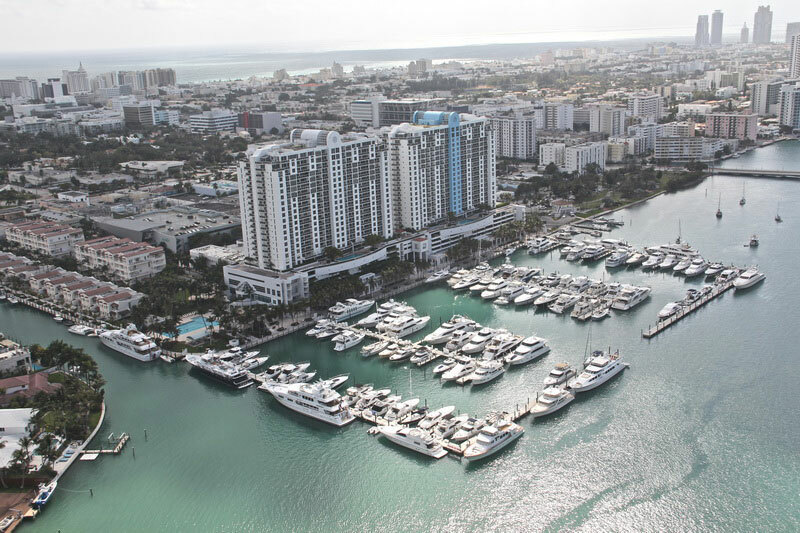 Built in 2002, the Grand Venetian contains 134 units that range in size from 1,196 to 4,000 square feet of living space. The Grand Venetian takes its name from its location on the Venetian Causeway. The all-glass, 25-floor building is one of the most in-demand addresses in the area. The residences at Grand Venetian feature floor-to-ceiling windows, roomy lanais, washers and dryers, European-style bathrooms, walk-in closets and, of course, spectacular views. Current home prices at the Grand Venetian range from $435,000 to $2,790,000 ($410 to $859 per square foot). At the lower price point you’ll find a one-bedroom, one and one-half bathroom corner unit, listed at $435,000. This 15th floor unit features a wrap-around balcony; granite counters in the kitchen and concrete floors throughout. In the mid-price range is a lovely 2-bedroom, 2-bathroom unit that offers 1,463 square feet of living space. Features in this home include custom closets, bamboo floors and a gourmet kitchen. This home is offered at $600,000. Penthouse living at the Grand Venetian offers 360-degree views and the ultimate in modern comfort. This two-story residence features a media room, two terraces, an Italian kitchen and a master suite complete with a sitting area, spa bathroom and two walk-in closets. This home is offered at $2,790,000. Grand Venetian is located at 10 Venetian Way. Sunset Harbour, a twin-tower (known as the North tower and the South tower) townhome and condominium complex, was completed in 1999 and 2000. Each tower has its own homeowner’s association. 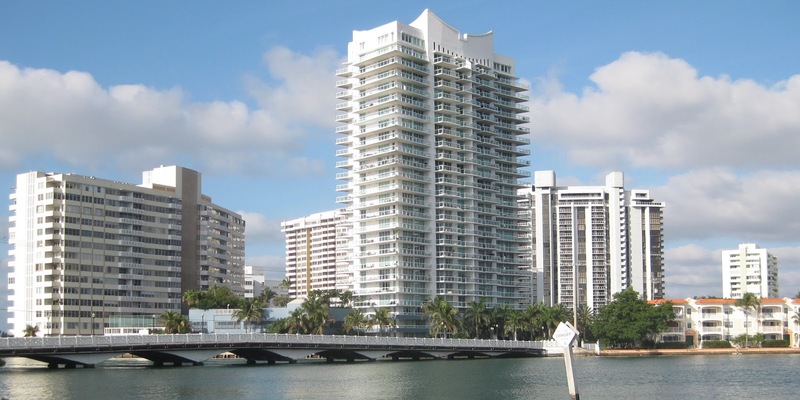 The residences are walking distance to Publix supermarket and Lincoln Road. 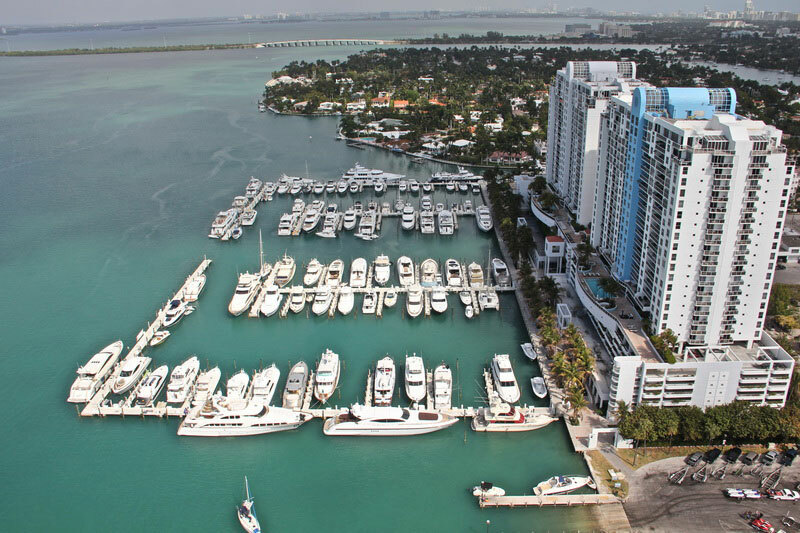 Current home prices at Sunset Harbour range from $329,000 to $3,950,000. The lowest price unit has 1 bedroom and 1.5 bathrooms in 750 square feet of living space. It features a master bathroom with marble and a Jacuzzi, and, of course, stunning views. In the middle of the price range you’ll find a 2-bedroom, 2-bathroom condo in 1,250 square feet. Recently renovated, this home features marble floors, granite and stainless steel in the kitchen and the largest balcony in the building. This unit is offered at $795,000. At the top of the price range sits an amazing 3-bedroom, 3-bathroom corner unit with a wrap-around terrace. This 2,790 square foot-townhouse is offered at $1,295,000. 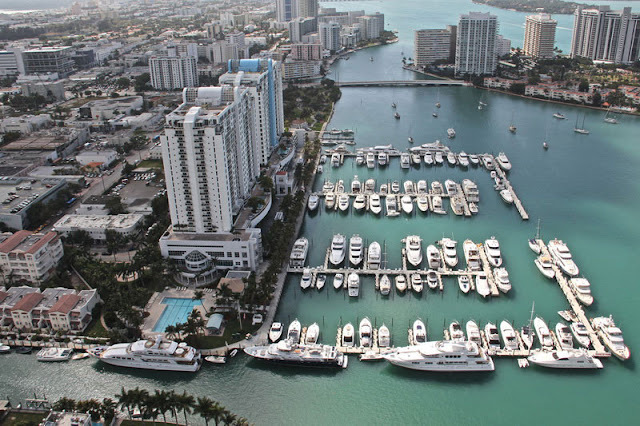 The residences at Sunset Harbour are located at 1800 and 1900 Sunset Harbour Drive.